I had my doubts about the Glock 45 when Glock released it in 2018. For the design, it seemed, the Austrian gun maker simply slapped a compact slide on a full-size frame. But after carrying it for four months, I couldn’t ask for more from a carry gun. 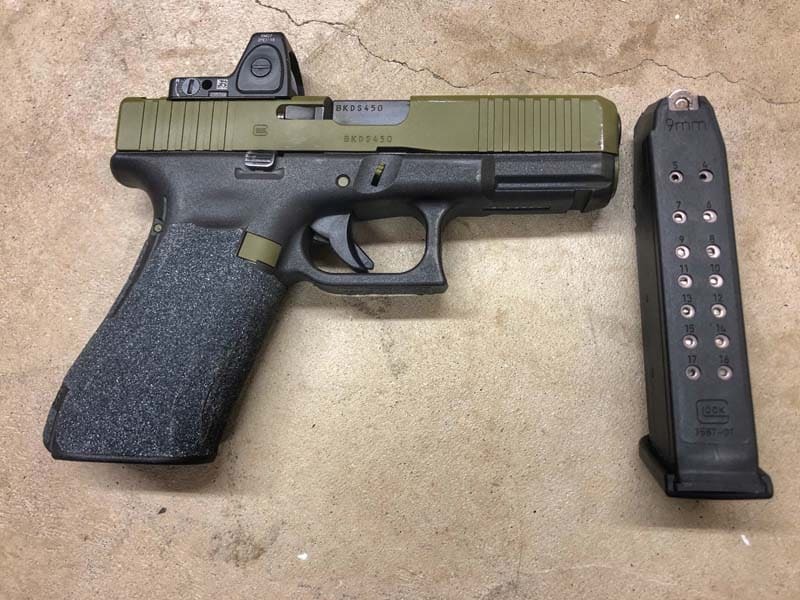 The Glock 45’s specs are based off the Glock 19x, which Glock submitted for military trials. It’s true that the design embodies features from both the Glock 17 and 19, but they were re-engineered together. Then, Glock added modernized features making it part of the Gen 5 series of guns. The Glock 45 measures in at 7.5-inches in overall length and weighs in at 25 ounces. On paper the Glock 45 may seem disproportionate, but nothing could be further from the truth. The ergonomics on the full-size grip allow for plenty of contact with the gun. Plus, the smaller, lighter slide makes for diminished felt recoil. The Glock 45’s frame has upgraded features from previous generations. Like all Gen 5s, the Glock 45 has a more traditional grip – as in no finger grooves – that can be resized. The frame also features a beveled magwell to help avoid reloading snags. Generally, there’s always room for improvement for the factory setting Glock trigger. However, Glock tweaked the trigger on the Glock 45. While it feels smoother than previous generations, the pull weight is still around 5 pounds. As a Gen 5, the Glock 45 is equipped with the new Glock Marksmen Barrel, which, when compared to older iterations, has new rifling and crown. 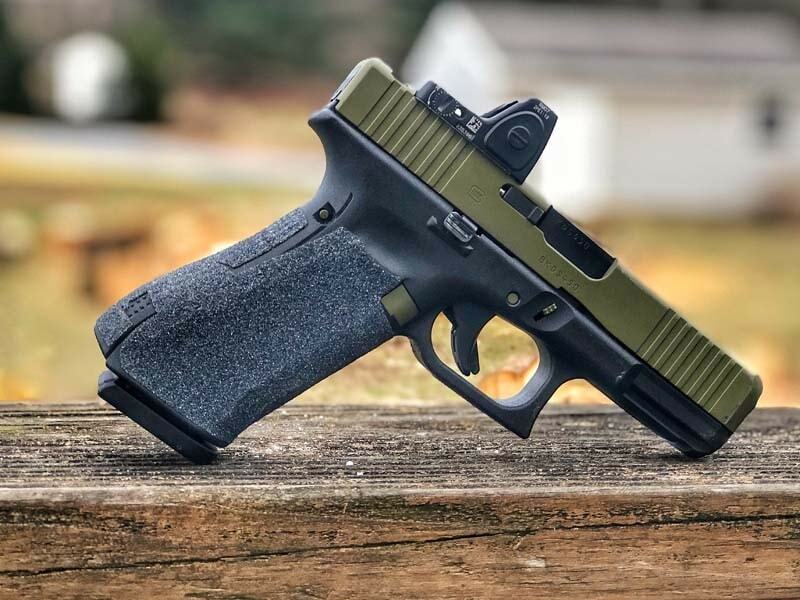 Glock said seasoned shooters should notice improved accuracy, but even with controlled shot groups – using a red dot and bench – the performance was on par with older Glock designs. While I was a skeptic at first, after shooting more than 2,000 rounds, my mind has changed. 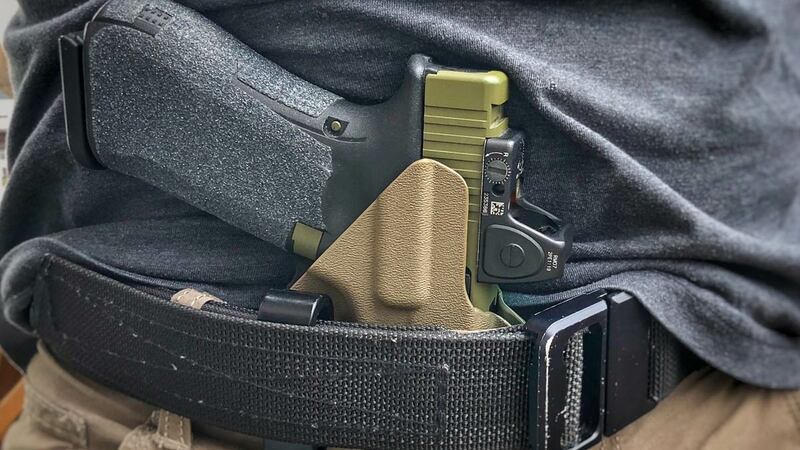 The life of a Glock 45 was designed for concealed carry. You may think I’m just another Glock fanboy, but don’t knock it until you try it.